The trout fishing is excellent. 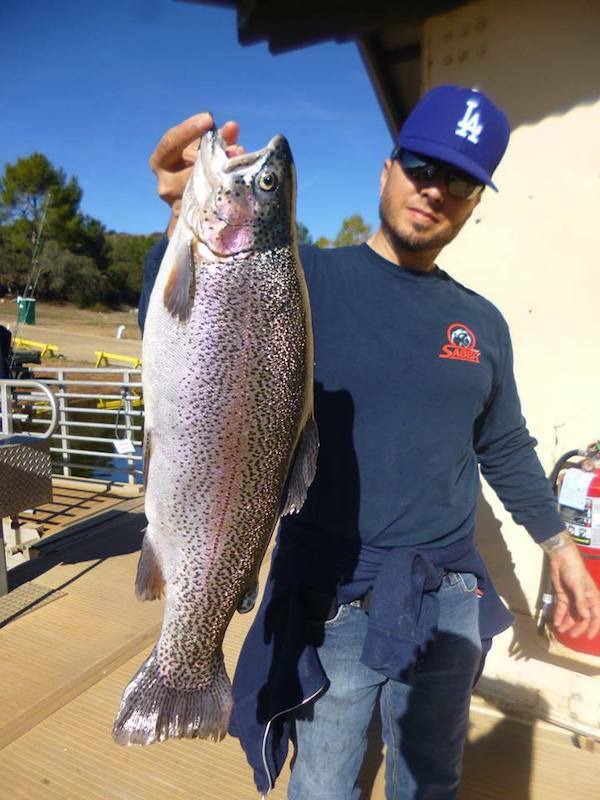 It has been more than a week since the last plant but fisherman continue to catch limits from boats and shore fishing near Crappie Rock, Boat Dock Cove or west of Senior Shoreline. The fishing is good and the crowds are light. 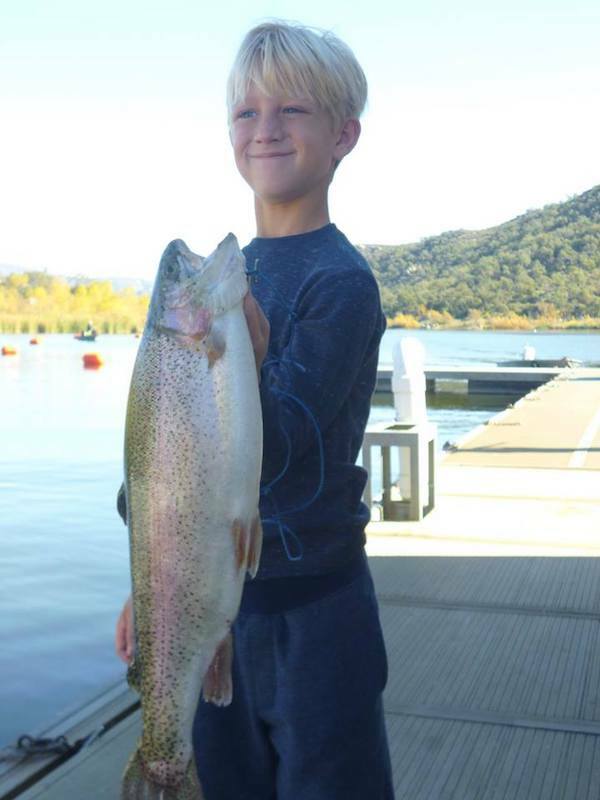 Breylon Hearn of Oceanside had big fish of the week with his 5.4 pound rainbow caught on a mini-jig in Oakvale Cove. Mousetails are the hot ticket right now, yellow or green varieties. The bass bite has been slow. Bass, typically, can be found around structure. They respond well to swimbaits, crawdads, and dark colored plastics. 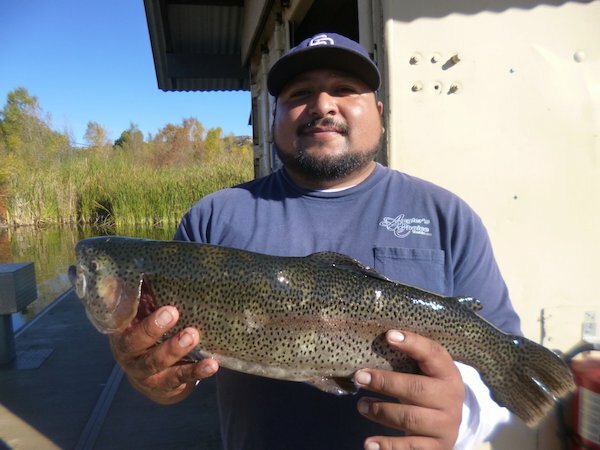 Each month Whopper Contest winners in four categories are awarded a free fishing and boating permit.